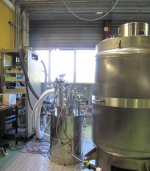 The Laboratory for Superconducting Magnet Research (LEAS) offers its expertise in magnetic fields to IRFU physicists, with a staff of 7 technicians, 20 engineers and one PhD student at the end of 2015. The laboratory teams are responsible for the design and project management of superconducting magnets for experimental facilities, especially large magnets or those with high magnetic fields. In designing superconducting magnets, LEAS applies its expertise to the optimization of coil geometry, conductor design, mechanical, electromagnetic, and thermal calculations, and magnetic protection in the event of quench. 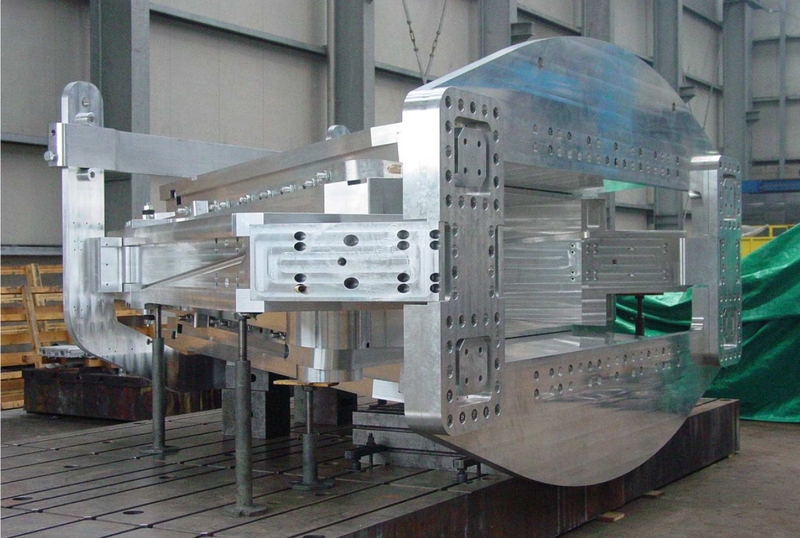 In addition to designing magnets, LEAS has the capacity to manage large projects, to develop magnets and integrate them into cryostats, and to supervise specific industrial projects. Magnets are inspected jointly with the Cryogenics Laboratory and Test Stations (LCSE). Measurement tasks include analyses of tests at ambient and cryogenic temperatures, including quench analyses and magnetic measurements. Major projects completed recently, such as the GLAD dipole for the R3B spectrometer (reaching completion), or the solenoid coil for the Iseult imaging system, represent R&D work that keeps LEAS staff at its highest level of achievement. The demand for high magnetic fields is also coming from laboratories such as the French National High Magnetic Field Laboratory (LNCMI) in Grenoble or CERN, in view of future circular accelerators such as the FCC (Future Circular Collider). This demand can only be satisfied by using niobium-tin (Nb3Sn), or high-temperature superconductors based on rare earth elements. These materials have been under active research and development for several years. Significant developments also involve magnesium diboride (MgB2), which could eventually compete economically with niobium-titanium (NbTi). CRYOPULSE : Horizontal cryostat 6 m in length for characterizing flows and thermal performance by means of temperature and pressure measurements in cryogenic pulsating heat pipes up to 4 m in length. Power available for the loop: 200 W.
Insulation/impregnation laboratory : The insulation/impregnation laboratory provides technical support for SACM’s projects on insulation for superconducting magnets and their winding: production of small coils, impregnation of prototypes or characterization samples, preparation of superconducting cables prior to characterization by dissolving aluminum or copper, use of resins and chemicals, room temperature characterizations (calorimeter, tensiometer, rheometer, pycnometer), etc. Measurement of Kapitza resistance and thermal conductivity : Cell for measuring Kapitza resistance and thermal conductivity in superfluid helium between 1.7 K and 2.1 K on thin samples (0.5 mm max), up to 80 mm in diameter. Measurements in pressurized superfluid helium at 1 atm : Double bath NED cryostat. Volume at 1.8 K: Diameter 250 mm x Height 300 mm. Double bath Th0 cryostat. Volume at 1.8 K: Diameter 200 mm x Height 500 mm. The SEHT test facility : The SEHT facility, which was created to generate an 8 T magnetic field in a large volume, uses a solenoid winding with an NbTi conductor assembled from double pancake coils cooled in a superfluid helium bath at 1.8 K and 1.2 bar absolute. The SEHT solenoid is a reconditioned superconducting coil previously used in the 35 T hybrid magnet at LNCMI in Grenoble. THERMAUTONOME : A circulation loop with recondensation by means of a cryogenerator, for characterizing single phase and two-phase flows by measuring pressure drop, and wall temperature increase along the wall of a 30 cm vertical test section. Cryogenerator: 1.5 W at 4.2 K. Pressure: from a few mbar to 3 bar. Temperature: from 3 K to 30 K. Max Power in the loop: 4 W at 10 K.